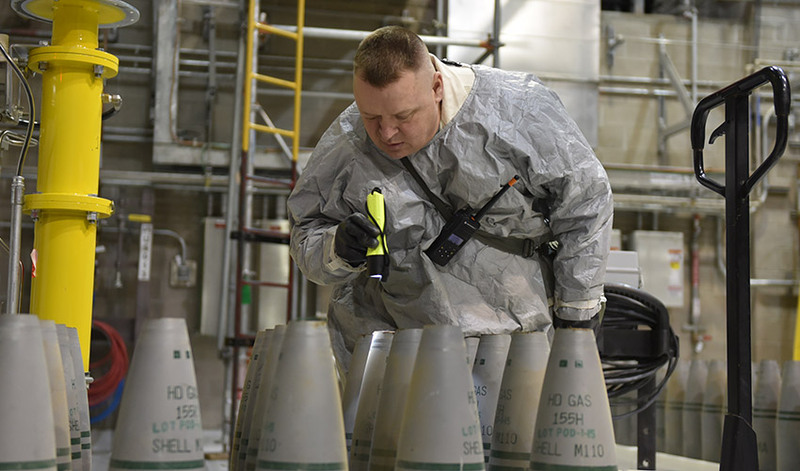 A Pueblo Chemical Agent-Destruction Pilot Plant worker inspects 155mm projectiles Nov. 13, 2018, in the Agent Processing Building. 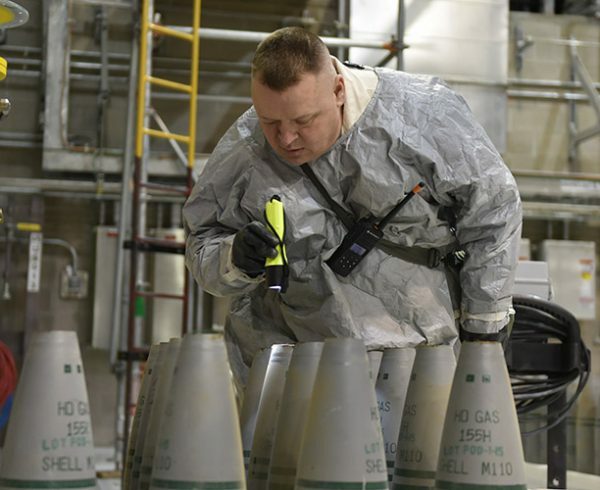 With more than 660 U.S. tons of mustard agent destroyed, PCAPP has eliminated 25% of the chemical munitions stockpile that has been stored at the Pueblo Chemical Depot since the 1950s. 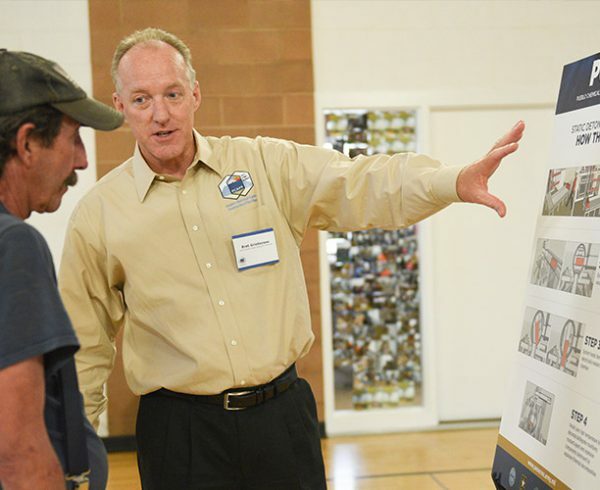 The acting site project manager for the Pueblo Chemical Agent-Destruction Pilot Plant announced April 1 that 25% of the mustard agent stockpile stored at the Pueblo Chemical Depot has been destroyed. 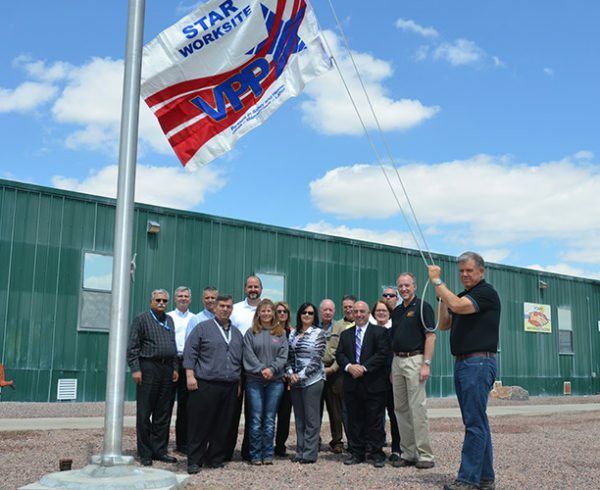 “While we still have much work ahead of us, this achievement demonstrates our continued commitment to the international community to safely eliminate all chemical weapons in the U.S. inventory,” said Walton Levi, acting site project manager, PCAPP. 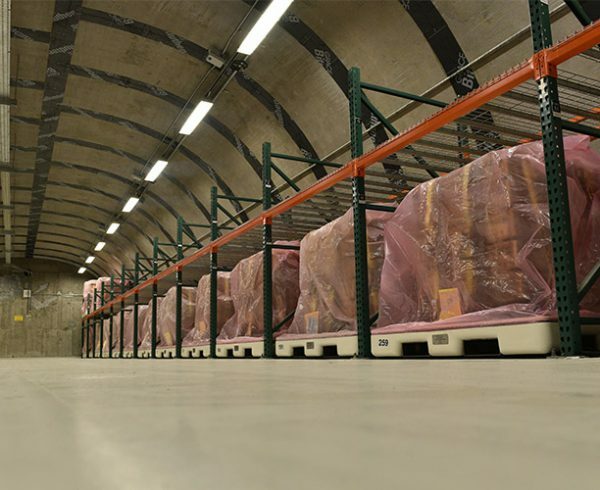 The depot houses the largest portion of the United States’ remaining chemical weapons stockpile, safely storing more than 780,000 mustard agent-filled munitions in the form of 155mm and 105mm projectiles as well as 4.2-inch mortars since the early 1950s. Recently the plant reported passing the 100,000 mark in terms of destruction of 155mm munitions in the plant. 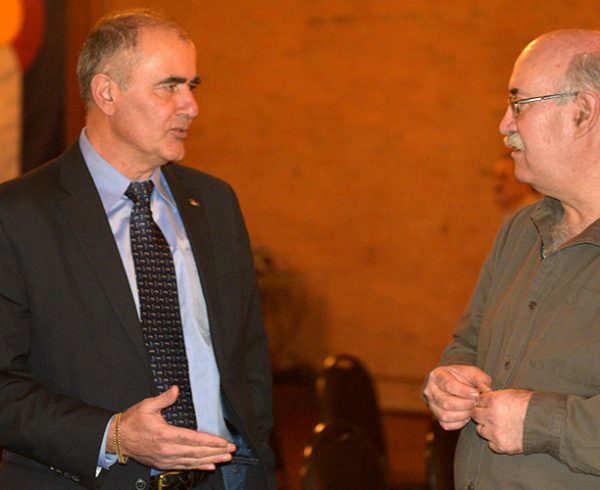 As of March 31, that number had surpassed 112,400. The site started agent destruction operations in March 2015 with the activation of the U.S. Army’s Explosive Destruction System, followed by start-up of the main plant in September 2016 using chemical and biochemical processes to eliminate mustard agent. 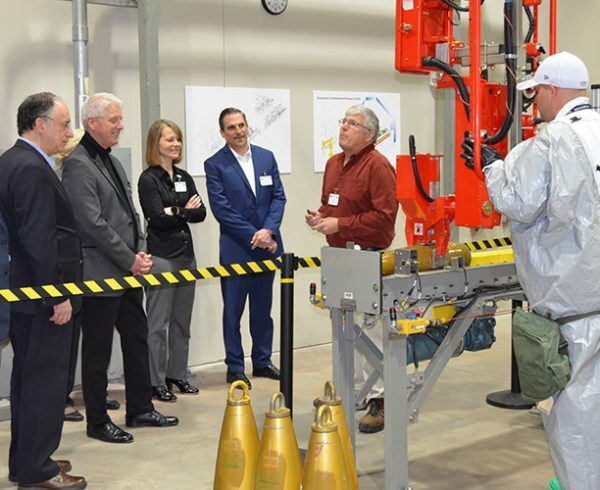 The team is working toward the safe elimination of chemical weapons in the U.S. stockpile by a congressionally-mandated deadline of Dec. 31, 2023.